The Université du Québec à Montréal is a public university established in 1969, which is based in Montreal, Quebec, Canada. It is a French-language university and is the largest constitute of the Université du Québec (UQ). The bilingual city of Montreal is safe, innovative, cosmopolitan, friendly and welcoming. There is a convenient public transit system and located close to the business center. Recognized for its quality of practice-oriented education, the School of Management holds a bold vision for the future with over 14,000 students and approximately 500 international exchange students per year. 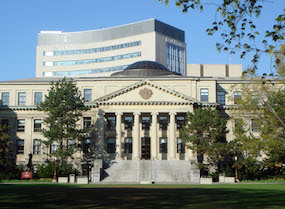 The University of Ottawa is a public research university in Ottawa, Ontario, Canada and was first established in 1848. The Telfer School of Management located at the University of Ottawa offers a number of undergraduate and graduate degree programs. With approximately 4,300 students, 200 faculty and 25,000 alumni, Telfer School of Management is one of only two business schools in Canada and one of less than 50 business schools in the world to have triple accreditations – it is fully accredited by AACSB, AMBA, and EQUIS. It has the vision of becoming the institution of choice for management education, executive development and relevant and influential research with an international reach. In cultivating and maintaining partnerships with international business schools, Telfer School of Management has signed a partnership with National Chengchi University in which 4 students are invited to go on exchange to the partner university. California State University, Northridge (CSUN) was established in 1958 and is located in California’s San Fernando Valley. This university is the largest single-campus university within the California State University system, known for its world-class education and research. In 2013, the Princeton Review ranked CSUN among America’s top 296 universities. The university continues to create a globalized learning environment, attracting students from all over America and all over the world to come pursue their studies. In 2014, there were over 3500 international students, coming from 156 different countries. In recent years, the university is taking the initiative to attract more students from Eastern Asia, China, Japan, and South Korea, organizing exchange programs every year. California State University, Northridge provides 65 undergraduate degree programs and 52 graduate degree programs. The business and economics college has received AACSB accreditation and looks toward the international recognition the College of Commerce of National Chengchi University has achieved. As a result, both universities have confirmed that a partnership will commence in 2016, sending 2 students on exchange from each university. 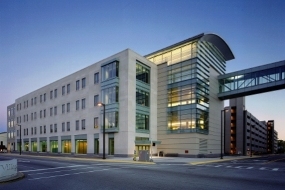 The George Washington University School of Business was established in 1928 with donations from the League of Masonic Clubs and in 2004 it officially became known as the George Washington University School of Business. The university is located in Washington D.C. and is one of America’s top private universities, surrounded by many world-renown banks, the international monetary fund, and the state council. It has created many rare research opportunities, seminars, lectures, and other cultural events for its students. Alumni of the school include many students who are now working in the White House and other governmental agencies, giving the university the title of “the cradle of politicians”. 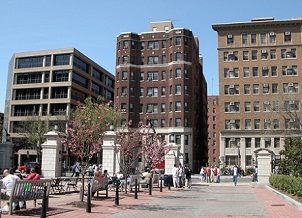 In 2012, the George Washington University School of Business was ranked second in the Masters of Finance Post-experience, composed by the British Financial Times. University of Florida (UF) is one of the top five schools in America, and is Florida's largest public university, located in northern Florida, Gainesville, in which most of the city's residents are students of UF; Gainesville is practically a university town, and has been elected as one of the best place to live in the US. The school is a comprehensive research university, providing a wide range, diversified areas of academic programs. 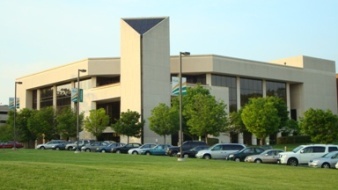 In addition, it holds the largest computer center among schools in the southern US, and fully-equipped facilities in its vast campus. 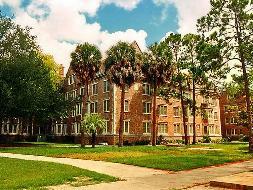 The agricultural study at the school is very well-known, and it aids the agricultural development in Florida. And of course, the school’s business education achievements are also outstanding, in which it was awarded No. 63 in the 2009 Global MBA ranking published by Financial Times (http://rankings.ft.com/businessschoolrankings/global-mba-rankings). Founded in 1870, the Ohio State University is currently the largest university in the United States. 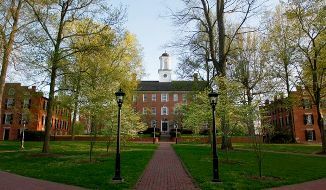 Not only is it the top ranked public university in Ohio, but the school is also the first to be admitted to the American University Alliance in 1916. In addition, the school is also one of the few public schools to be recognized the by private school Ivy League. The university was ranking No. 27 in the 2008 Best US Business School published by U.S. News and World Report. Purdue University, founded in 1869, is a public research university with a long history. The school has always been known for its excellent teaching quality and reasonable tuition. And it enjoys a high reputation as the Harvard in the tourism domain and the mother of America’s aerospace. Furthermore, the school places special emphasis on the internationalization of education; therefore, it is one of the American universities with the most enrollments of international students. The school was ranked No. 4 nationwide for being a public university with the most foreign students among the Institute of International Education. 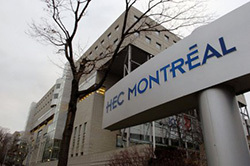 In UK’s Financial Times 2008 EMBA ranking, the school was awarded No. 11 (http://rankings.ft.com/emba-rankings), and its MBA students have been elected 4th place for being “Most welcomed by companies” according to Wall Street Journal. Purdue University has an exceptional rating in both academic and faculty quality.